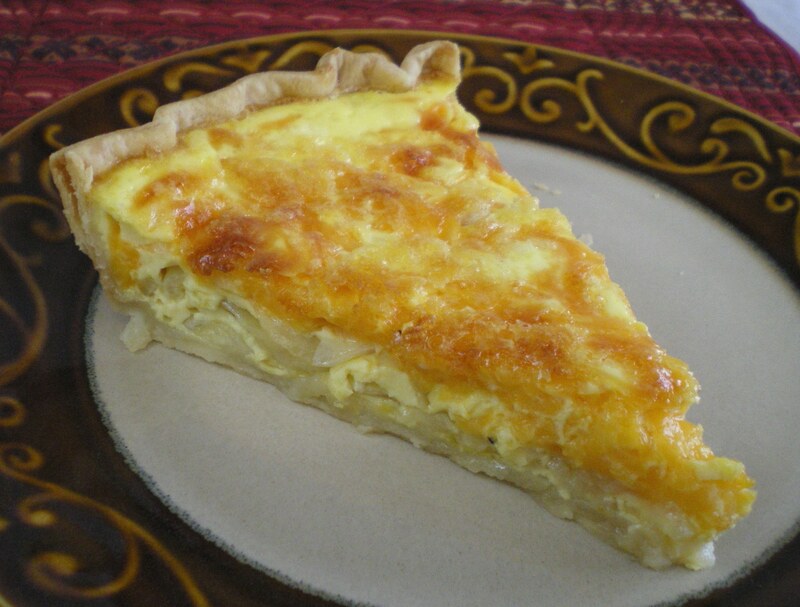 Onion Pie « Great Lakes International Trading, Inc.
Saute thinly sliced onions in butter until soft. Place the onions in an unbaked pie crust top with cheddar cheese. In a separate bowl beat 3 eggs with scalded milk. Salt and pepper to taste. Pour over onions and cheese. Bake at 350 degrees for 30-45 minutes. This will make a large pie so if you use a 9” crust reduce amount of milk. Pie is done when it is golden brown and the center is set.